Winter patties contain a relatively low protein level which will not stimulate brood rearing. The patties will provide necessary carbohydrates to keep colonies from starving. Patties contain AP23 (Artificial Pollen 23), which has been formulated to deliver all of the currently known nutritional needs of the honey bee, with optimal balance of nutrient levels, in a highly palatable blend of specifically selected ingredients. AP23 is a high protein feed developed for all levels of beekeepers. Patties also contain Honey-B-Healthy, which is an essential oil preparation that boosts the honey bee's immune system. Honey-B-Healthy is one of the best feeding stimulants that there is for sale. Use 1-2 patties per hive on top of the bee cluster, directly on the top bars. The patty is excellent and my bee love it here around the February time. Great friendly service, family owned business. These are perfect. Fast shipping! Fast shipping and they look great. Great product and fast and cheap shipment. 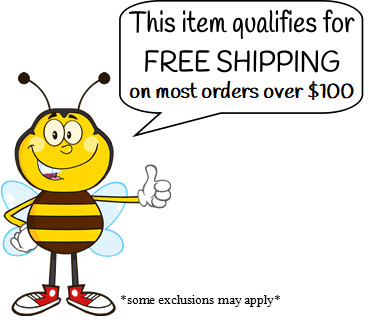 easy to order- good product and the shipping was cheaper then others!